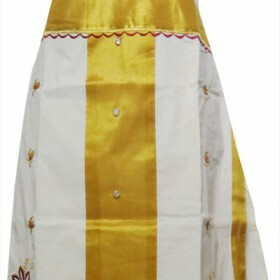 Kerala settu saree is the most wanted ethnic wear of woman’s to spell about their traditional custom. 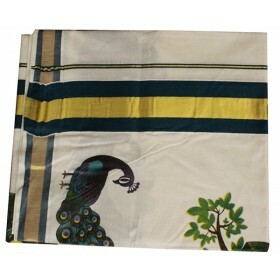 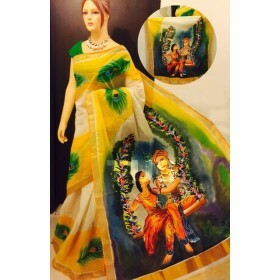 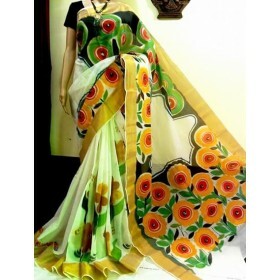 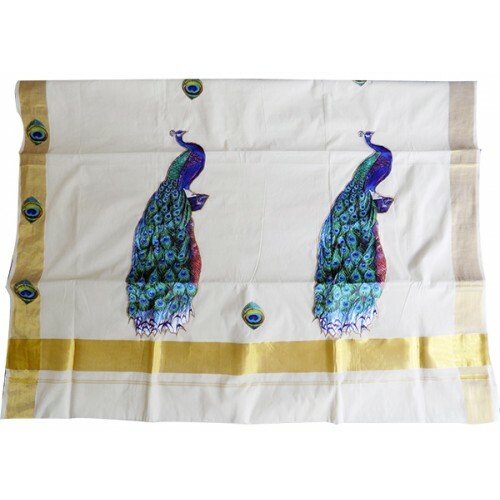 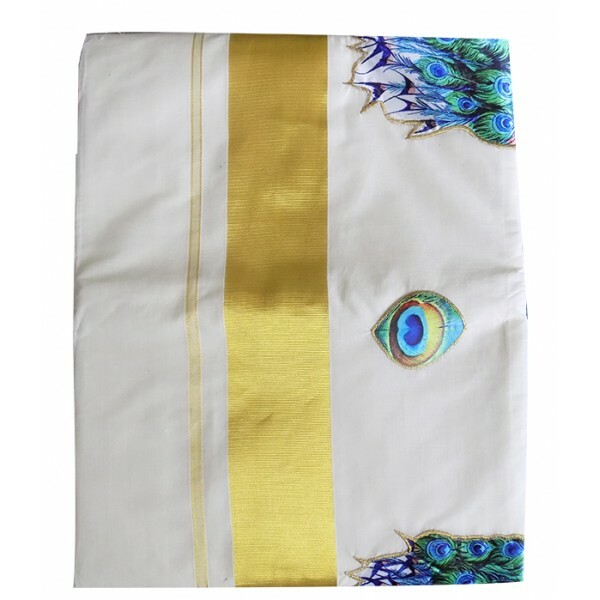 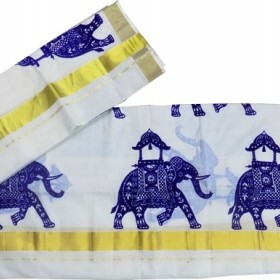 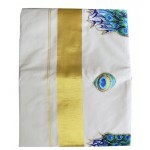 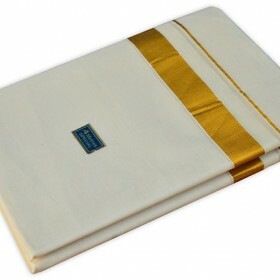 It is off white colored saree with peacock patch work on its pallu along with the golden kasavu border to make amazing. 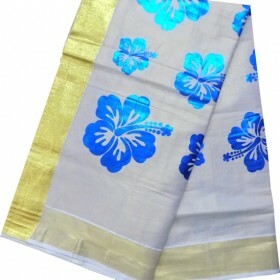 On the both sides we have golden kasavu with peacock petal patch work to give a royal look. 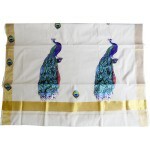 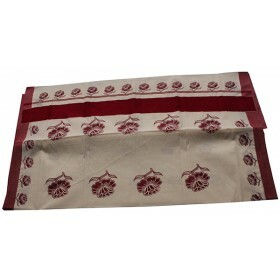 This awesome saree can be gifted to your loved ones as the best gift. 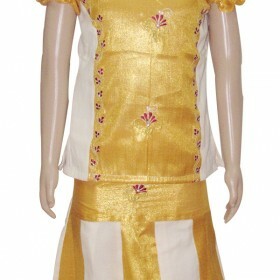 Matching blouse piece comes along.